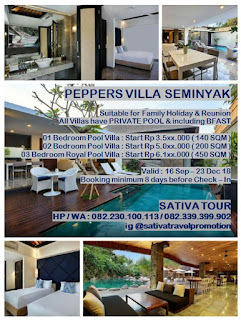 Located at the hustle bustle of Seminyak, *Peppers Villa* offers you a second home for your holiday. The private pool at every villa brings privacy for the whole family and dont worry about your cranky tummy in the morning.. Breakfast is served!! !